We explain what 'fine gauge' means when you look at quality socks, and why Pantherella makes the 'finest' socks in the world. 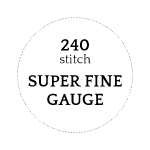 What are Fine Gauge Socks? For Pantherella, a fine gauge sock refers to a sock created from extremely fine yarns using a cylinder knitting machine holding 200 very thin knitting needles (1/50th of an inch thick). 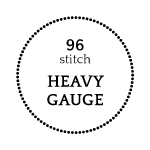 This means that there will be 200 finely crafted stitches around the leg of each and every sock. 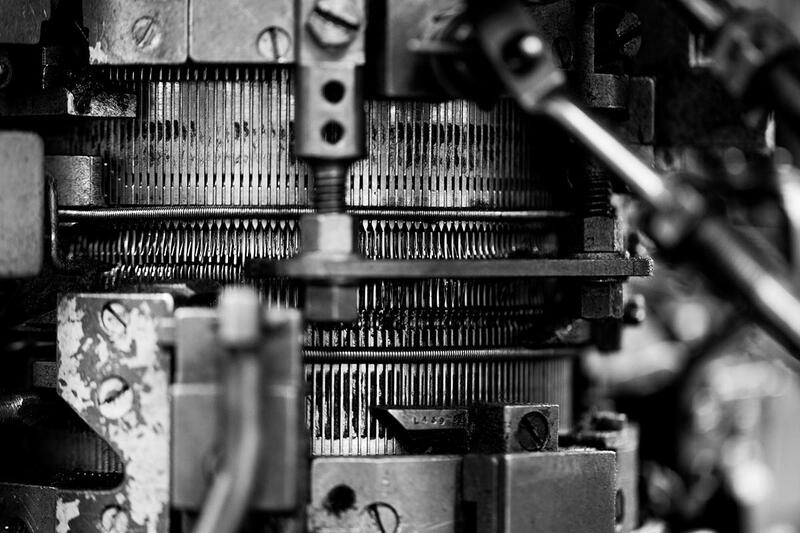 At Pantherella we also knit some of our special tailored socks on a 240-needle superfine gauge knitting machine. The image below shows two socks side-by-side. The one on the left is a leisure-knit or heavy-knit sock (a 'Beak' - 5394 Egyptian cotton sock) that has 96-stitches round the circumference of the sock. The sock on the right is a fine-gauge sock (a 'Danvers' - 5614 mercerised cotton lisle sock) , with 200 stitches around the leg of the sock. 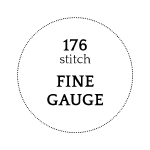 What are our Fine Gauge Socks made from? 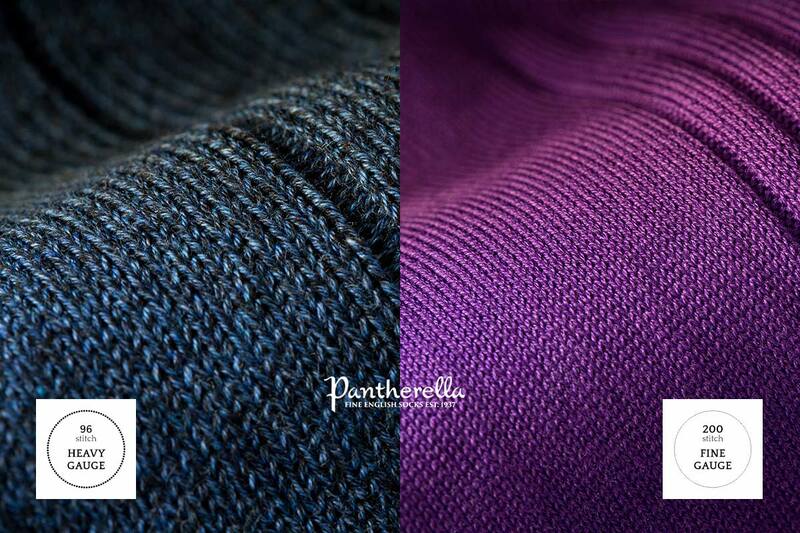 Pantherella fine gauge socks use the sheerest and highest quality yarns in the world. From the finest 120 denier (20 denier is the thickness of a human hair) filament silk, 190 denier Australian Merino wool to highly-prized 240 denier Genuine Sea Island Cotton. How should I wear my Fine Gauge Socks? Despite their fine appearance, our Merino Wool socks keep feet warm in the winter and cool in the summer, due to the unique body temperature regulating properties of the Merino sheep’s fleece. Our Mercerised Egyptian Cotton and Genuine Sea Island Cotton Fine Gauge socks provide a light, bright and breathable accent to your summer wardrobe. Our Fine Gauge Silk socks are the ultimate formal dress sock, adding panache to your evening wear. The History of Fine Gauge Socks? Pantherella was founded in Leicester, England, in 1937 by Louis Goldschmidt who had previously been a manufacturer of socks in his native Germany. Once on the market the demand for Pantherella socks was significant. By the time the competitors cottoned on to Goldschmidt’s innovative design plans he had already set the industry standard, leaving the competition in the shadows. Pantherella were renowned for creating the world’s finest socks, as they are still today.